Alcohol licensees could face stricter regulation under a bill considered March 18 by the General Affairs Committee. 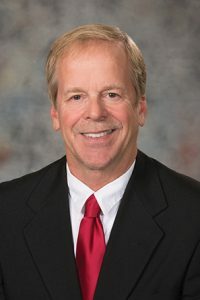 LB591, introduced by Sen. Tom Briese of Albion, would allow for the creation of “alcohol impact zones”—areas that have been negatively affected by public intoxication or crime associated with sales of alcohol. Under the bill, a municipality or county board could apply to the state Liquor Control Commission to create an alcohol impact zone. An application would be required to include evidence that chronic public intoxication or illegal activity associated with alcohol sales has harmed the quality of life within the zone. A public hearing also would be required. If created, the commission could place conditions and restrictions on any alcohol licensee within the zone. One year after a zone’s creation, the requesting municipality or county board would provide a report to the commission on the zone’s effectiveness. The designation would remain in effect until repealed by the commission either on its own initiative or at the request of the municipality or county. Briese said cities like Seattle, Wash. and Memphis, Tenn. have seen reductions in crime and public intoxication after creating alcohol impact zones. “Currently, the Liquor Control Commission can put conditions on a liquor licensee that is before the commission, however, that only addresses the problems and concerns for one particular licensee,” Briese said. Hobert Rupe, director of the Nebraska Liquor Control Commission, testified in support of the bill. He said the cities of Omaha and Lincoln have requested liquor license restrictions for some vendors, like disallowing sales of airplane bottles or beer with high alcohol content. Rupe added that an alcohol impact zone could help isolate areas where there is a pervasive pattern of crime, like littering or public intoxication. “Any zone would be very much driven by the numbers,” Rupe said. Portia Cavitt of Omaha also spoke in support of LB591. Cavitt is a pastor in north Omaha and said there are four liquor stores within four blocks of her church. Justin Brady testified against the bill on behalf of the Nebraska Liquor Wholesalers. He said LB591 was unnecessary, and that the state Liquor Control Commission already can restrict a licensee based on many factors, including the number of alcohol vendors in an area. Brady also said the bill sends the message to liquor stores that they are incapable of operating responsibly. Kathy Siefken of the Nebraska Grocery Industry Association also testified against the bill. She said the commission already has the authority to address problems of crime associated with overconsumption of alcohol. “They did fix Whiteclay without impact zones,” Siefken said. The committee took no immediate action on LB591.